Rural house (full rental) for 28 people. 11 Rooms, 9 bathrooms. 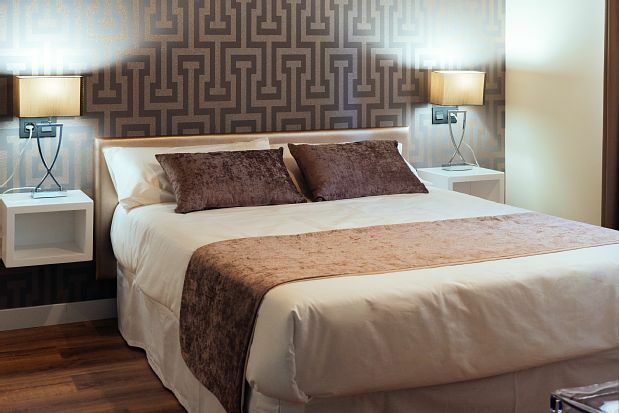 Pinares de Soria is a newly renovated building, which has several accommodations. On the one hand, La Casa Rural Pinares de Soria (4 stars) with a capacity of 1 to 9 people, and on the other the newly built Rural Hotel Pinares de Soria (4 stars) with a capacity of 1 to 19 people. Therefore there is the possibility of joint rental of the two establishments for large groups of up to 28 people. Casa Rural Pinares de Soria, is divided into 2 floors. On the first floor a large bathroom, a reading corner, and 4 rooms (1 room with double bed, 2 rooms with two single beds and a fourth room with two double beds). There is also an extra bed and a cot available. Hotel Rural Pinares de Soria is divided into 3 floors. Pinares de Soria is the ideal accommodation to reserve in full with the possibility of staying groups of 1 to 28 people.